I am really enjoying riding my bike. I couldn’t do it Monday or Tuesday because I had to pick the kid up from work and Wednesday Heather and I went to the Alison Krauss – Willie Nelson concert. (Heck of a show those two put on I tell you.) So Thursday was it. 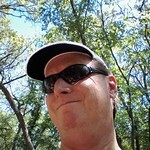 I have a go pro type cheap clone that I mount on the handlebars of my bike. I had it set to take a photo every 20 seconds so above is an action shot of my filling my water bottle. You can tell from the long shadow of the tree that it was already getting late in the day. The winds were supposed to pick up from the north so I opted for an east west route to Sand Springs and back on the MK&T trail. A converted railroad line. Straight as an arrow and easy grades. It doesn’t get much use and has several road crossings but they are easily crossed. Here is a sign shadow, with a lens flare. And here is an action shadow selfie of me pressing the crosswalk button like a nerd. A bicyclist who knows what he is doing just goes out there in traffic. I plan on living a few more years and I am hoping that being a nerd furthers that cause. 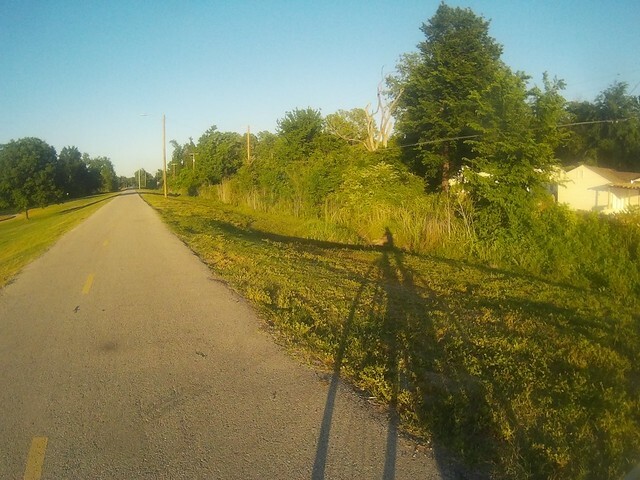 And an extra long shadow selfie on the trail. Below is a brief video of my ride. 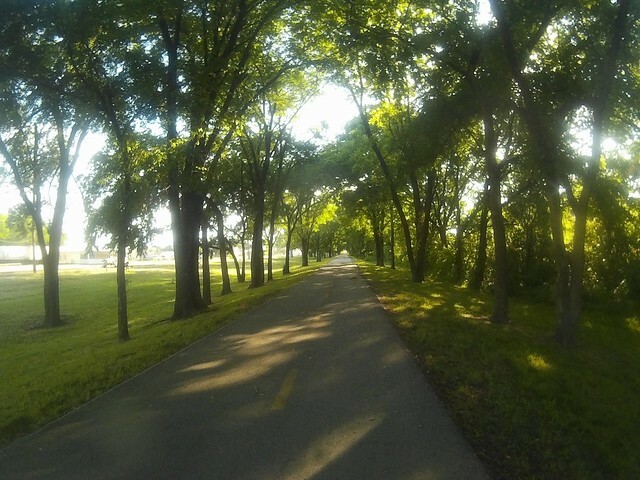 This entry was posted in shadow Shot Sunday and tagged Bicycling, Oklahoma, Outside, Rails to Trails, Relive, Sand Springs, Shadow Shot Sunday, Trails, Tulsa on May 19, 2018 by Alan Bates.